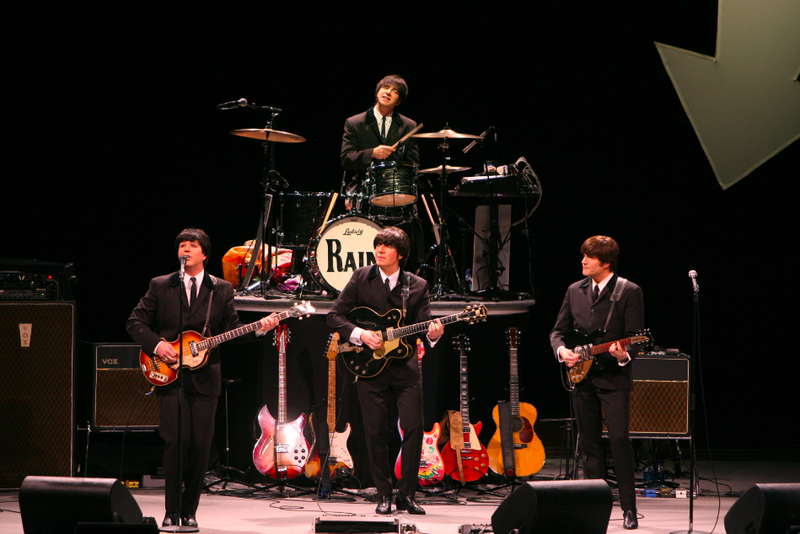 Suddenly, it’s 1964 again, at least with music…as Lexus Broadway in Austin at Texas Performing Arts presents RAIN: A Tribute to the Beatles on February 6 & 7. RAIN: A TRIBUTE TO THE BEATLES is a live multi-media spectacular that takes you on a musical journey through the life and times of the world’s most celebrated band. This stunning concert event takes you back in time with the legendary foursome delivering a note-for-note theatrical event that is the next best thing to the Beatles, ala’ the Mad Men era. How cool is that?